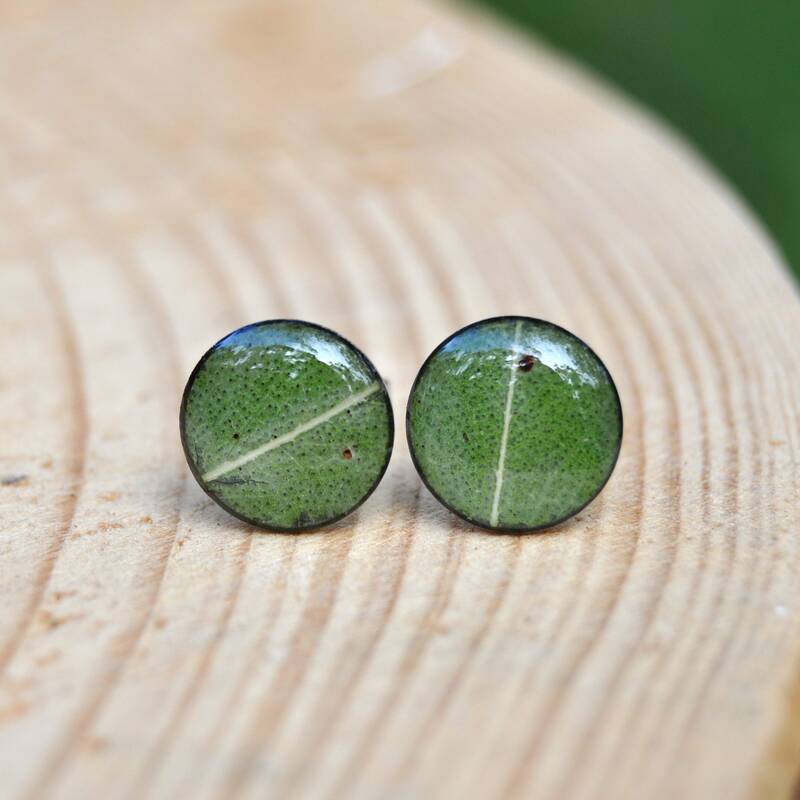 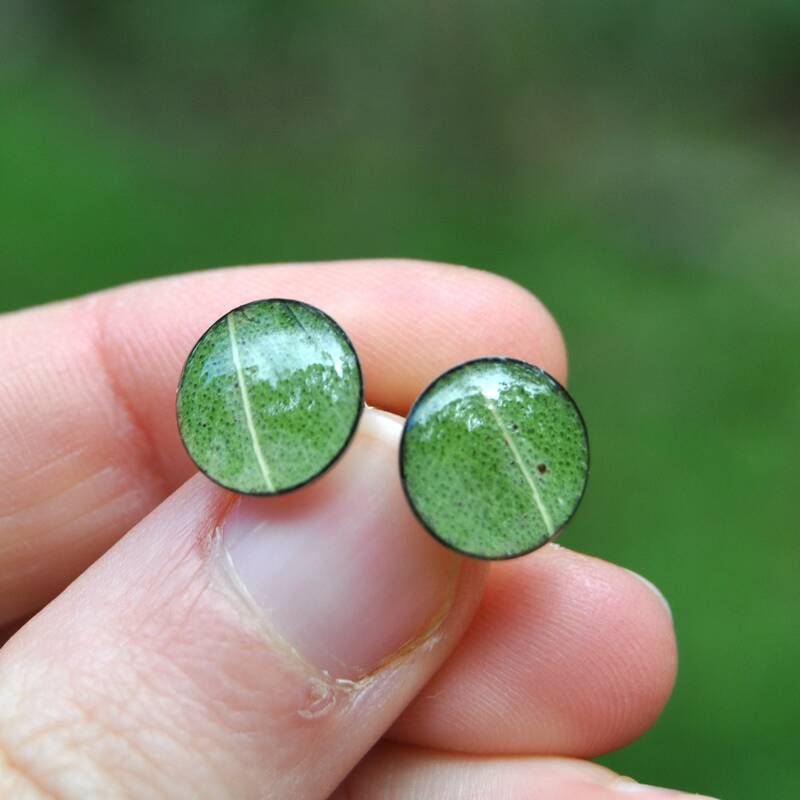 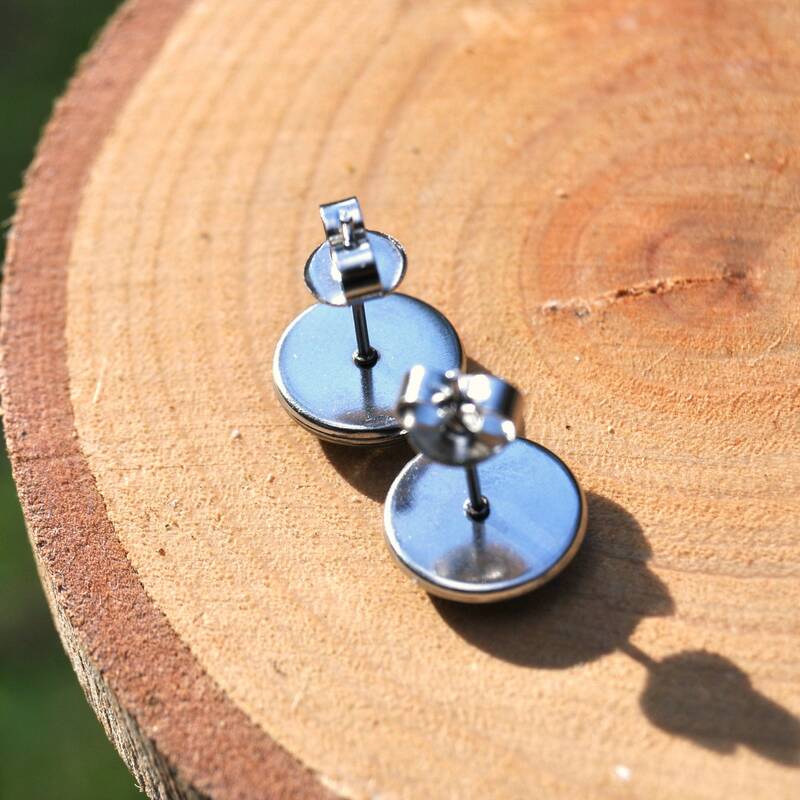 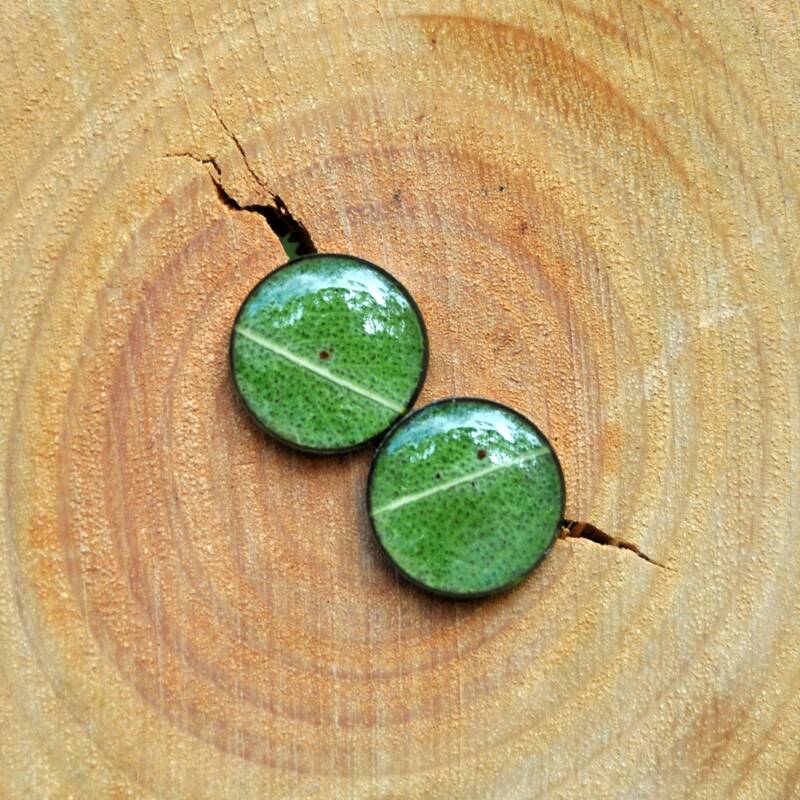 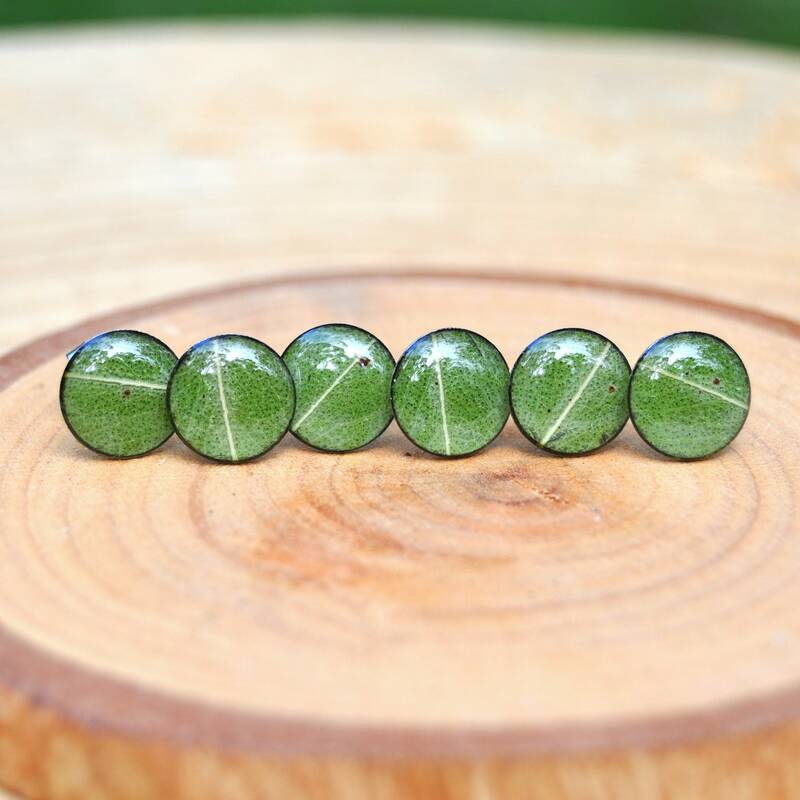 Stud earrings made with real Australian Eucalyptus leaves and clear eco resin. 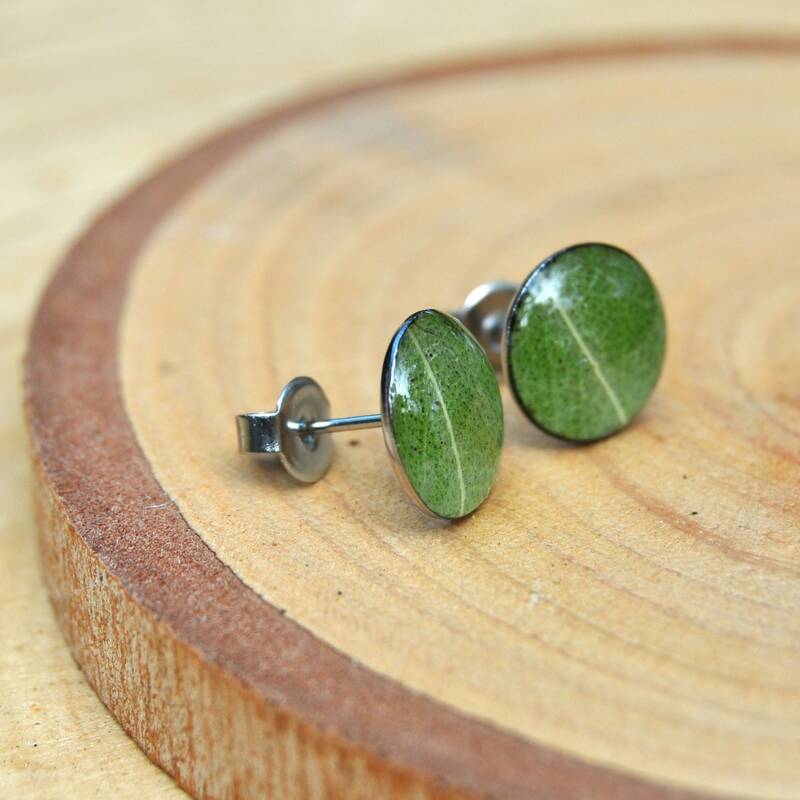 ♥ Plant: Mountain Grey Gum leaves - a tall eucalyptus tree native to south-eastern Australia. 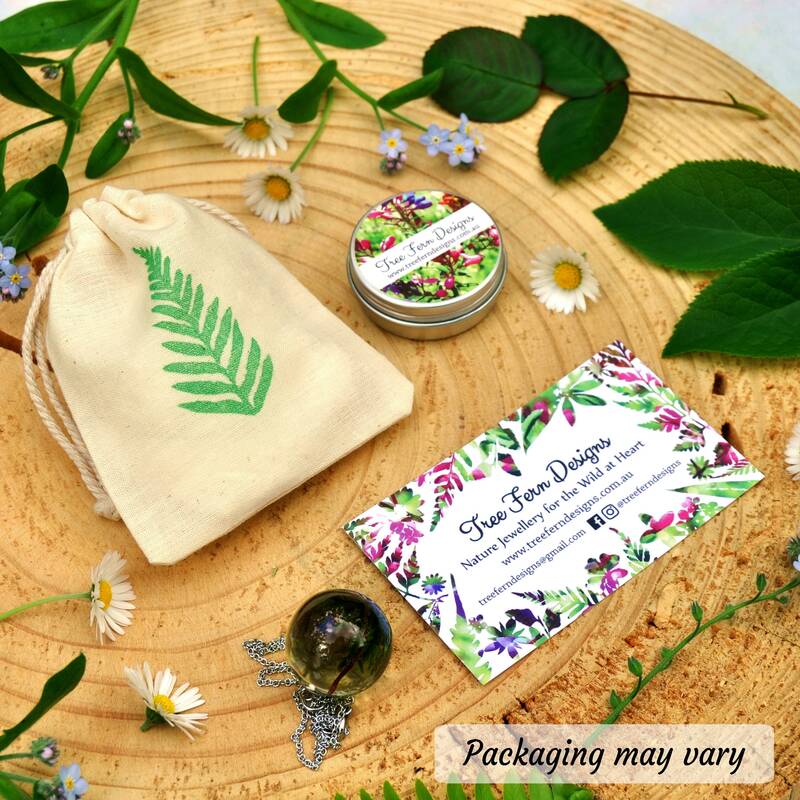 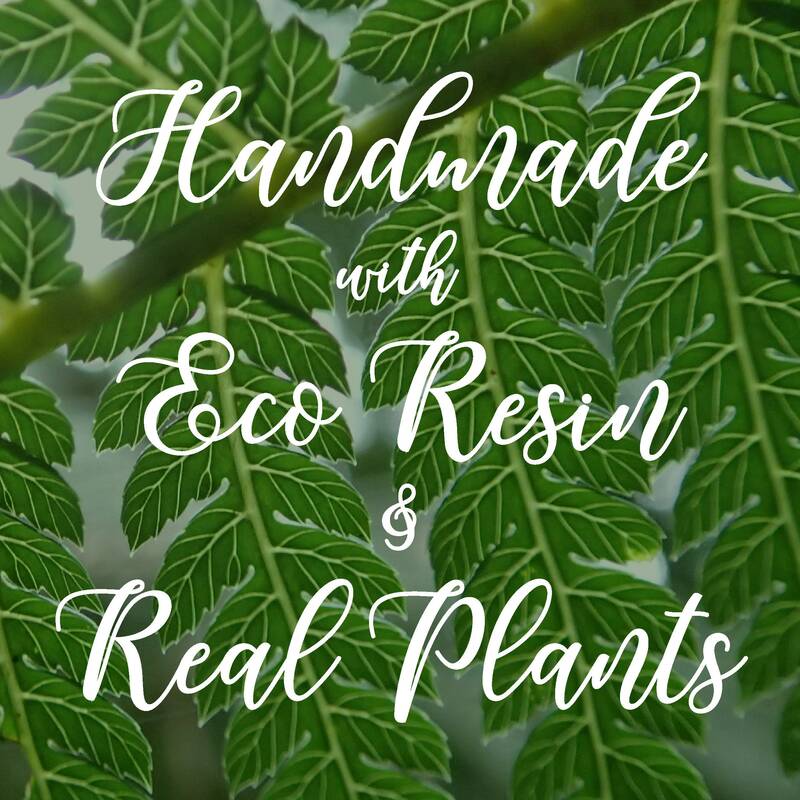 ♥ How it's made: the gum leaves were collected and pressed, then carefully cut to size before being sealed in clear eco resin.